Brock Myrol, 29, had been on the job less than three weeks when he was shot and killed. Days after graduating from the RCMP training academy in Regina in February 2005, Myrol began his work in Mayerthorpe, Alta. 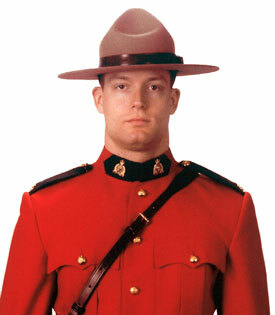 Myrol decided to become an RCMP officer in 2002. He had worked as a security guard and studied towards an undergraduate arts degree from Red Deer College. Myrol was born in Outlook, Sask. And raised in Red Deer, Alta. He came from a family that loved music. He sang, composed music and played guitar. His mother, Colleen Myrol, said her son was a responsible citizen who wanted to make a difference. "Canadians are wonderful, loving, caring people," she said. "Brock knew that and dedicated his life to preserving that tradition."